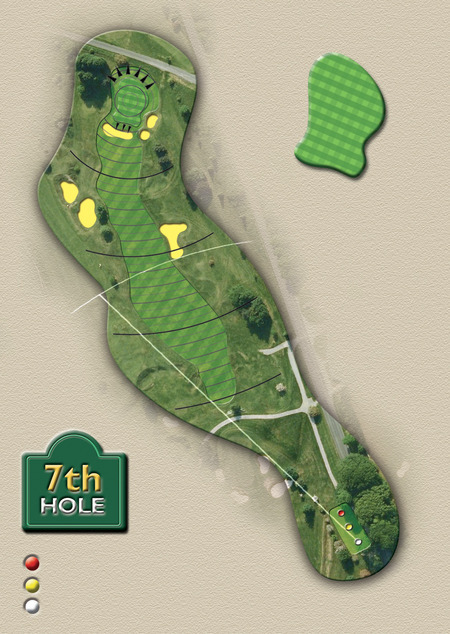 Hole 7 is the shortest of the par 4s but what it lacks in yardage, it makes up for in difficulty. 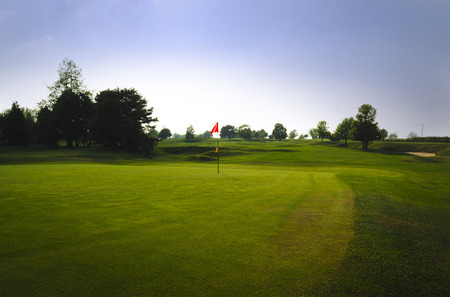 A fairway with numerous humps and bumps can throw your drive in any direction and only the very long off the tee can hope for a second shot from a flattish lie. The elevated green slopes towards the fairway except for a narrow plateau at the front of it. Play to the back except for when the pin is on the plateau.